GRAND RAPIDS, Mich. – For families on the go or anyone short on time and looking for quality and convenience, SpartanNash and its Familhe company’s click-and-collect program, providing a seamless online grocery shopping experience through shopthefastlane.com. 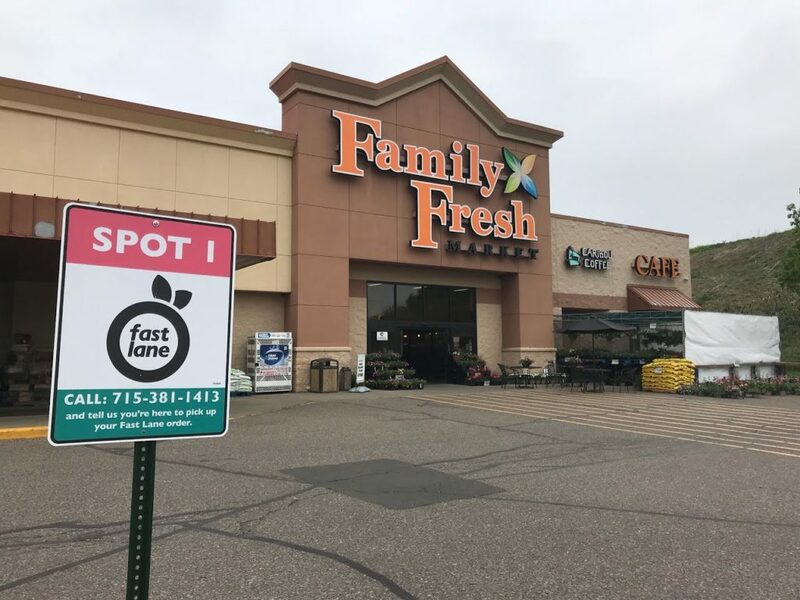 Store guests at five Family Fresh Market locations in Minnesota and Wisconsin can now join the Fast Lane by easily ordering their groceries online and picking them up curbside. 115 Elm St. in Farmington, Minn.
612 S Minnesota Ave. in St. Peter, Minn.
2351 Coulee Road in Hudson, Wisc. 110 W. 4th St. in New Richmond, Wisc. 303 S. Main St. in River Falls, Wisc. Currently, 58 SpartanNash stores in Michigan, Minnesota, North Dakota, South Dakota and Wisconsin offer Fast Lane as a convenient online shopping option for Family Fare Supermarkets, D&W Fresh Market, Family Fresh Market, VG’s Grocery and Dan’s Supermarket store guests.